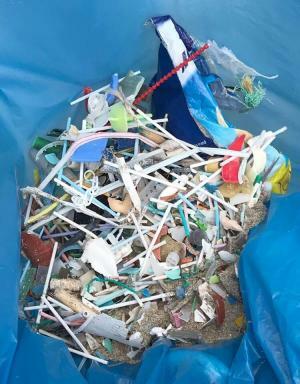 BEACHCLEAN MENORCA REMOVES 650KG OF PLASTIC FROM OUR BEACHES! 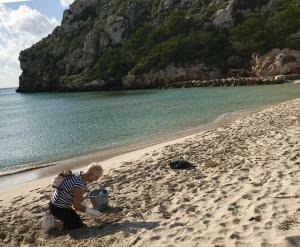 Over 130 volunteers from Beachclean Menorca – under the auspice of the Menorca Preservation Fund – spent a couple of hours over the weekend of 17/18 November picking up rubbish from 16 of Menorca’s beaches. 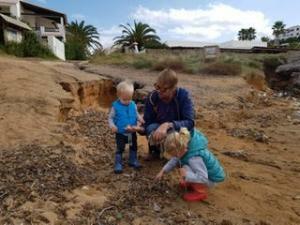 The teams were organised and deployed by Peter Martin and Sarah Folley, the creators of the ‘Beachclean Menorca’ initiative which earlier this year collected 1.7 tons of rubbish at Es Murtar. The rubbish included the usual larger items, such as plastic bottles but there is an increasing amount of micro-plastics and removing these is a very labour-intensive process using kitchen or garden sieves. Despite the quantity of very low-weight items, the teams still managed to collect over 650kg! With 3 more beaches on the list for next weekend. Although it can be soul-destroying, at times, to see so much rubbish on our beaches and to be able to make only a relatively small impact on the problem, the reward is to know that each piece removed is one less item to harm a child or to end up impacting our marine ecosystem. 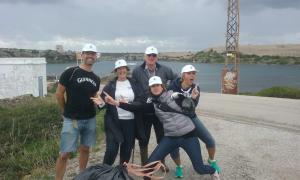 A huge thanks goes out to all of Beachclean Menorca Organisers and volunteers who took part in this clean -up operation. Each and every one of you has made a difference and is helping to make our beaches safer and even more beautiful. Many Organisers are arranging more regular cleans on their local beaches. With more people, however, we could cover more beaches and increase our impact. 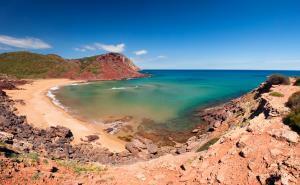 Menorca is your island, and everyone has a vested interest in protecting it. Please consider getting involved and playing your part.